Villagers gather on the square to enjoy the Lusheng Festival show. 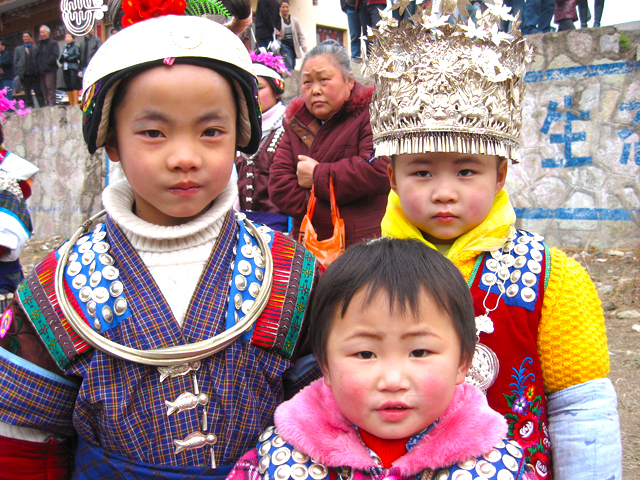 Little girls dressed up with Miao's traditional costume. 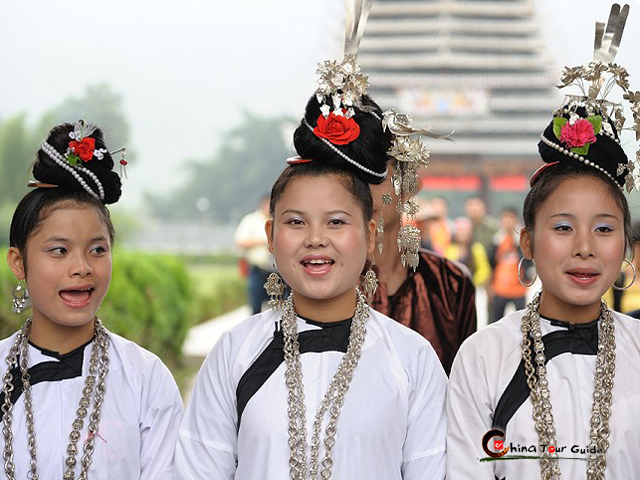 Miao girls dance in circle to the rhythm of Lusheng music. Miao girls are ready to present dancing show. Men blow Lusheng to pray for good weather and bumper harvest. Langde girls are skilled at doing embroidering. 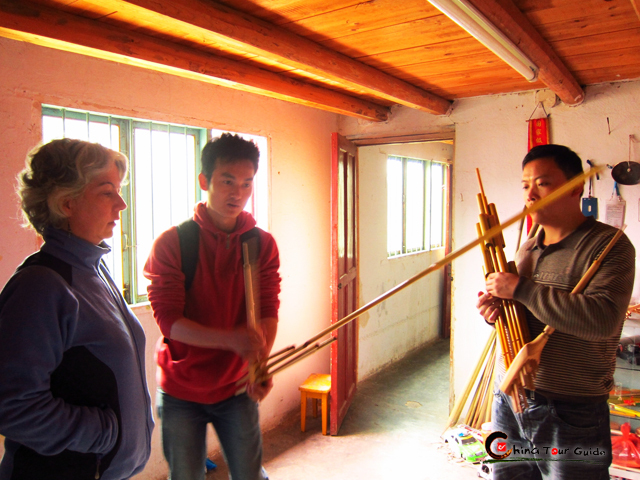 Visitors are learning to blow the Lusheng. 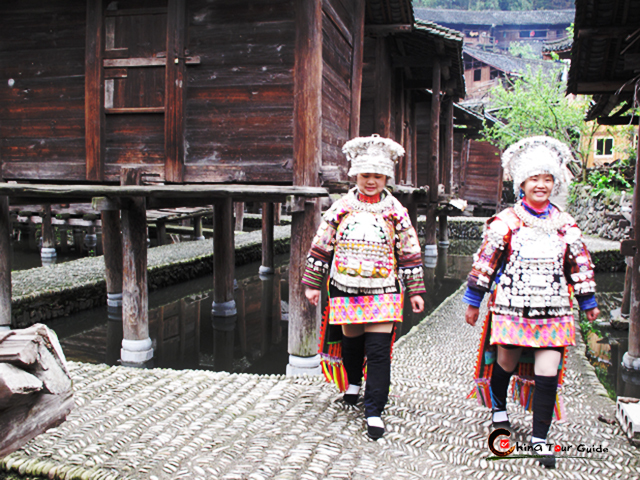 Datang Miao girls dressed up joyfully walk around the granaries. 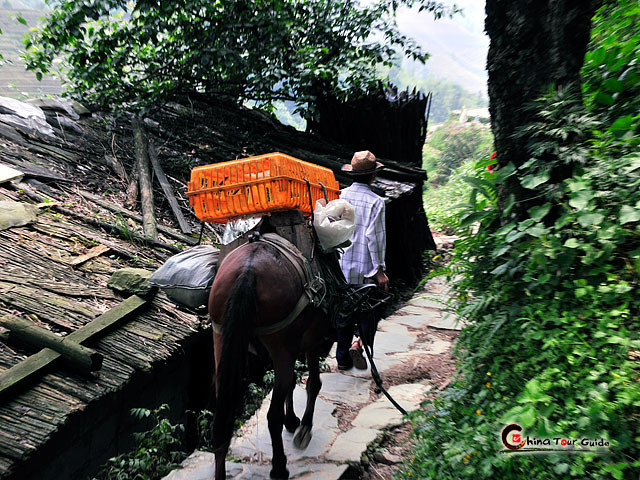 Horse is carrying goods along the mountain road. 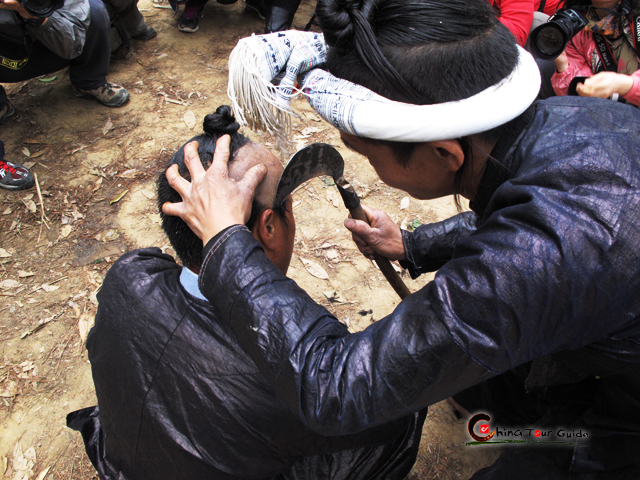 A Basha man's hair is being shaved off with a sickle. 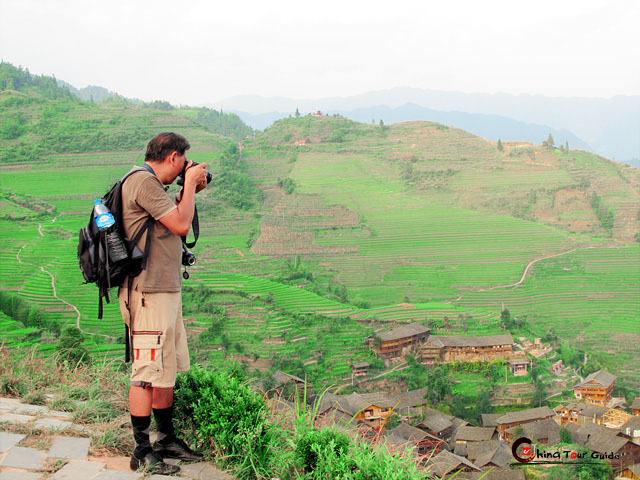 A foreign couple is enjoying the beautiful scenery of Longji terraces. 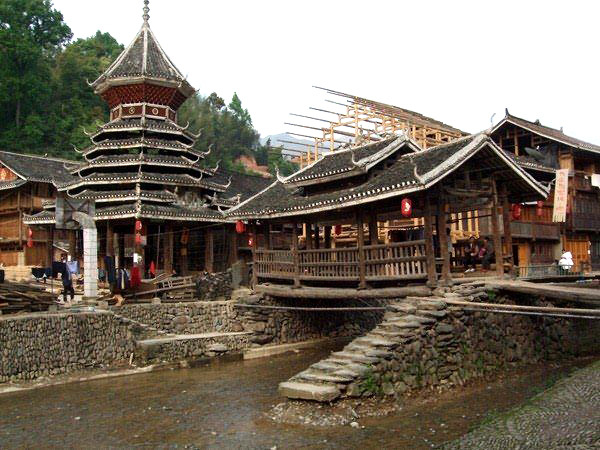 This classic tour will lead you to several most famous attractions in Guizhou and Guangxi provinces which are arguably two most beautiful provinces in China. 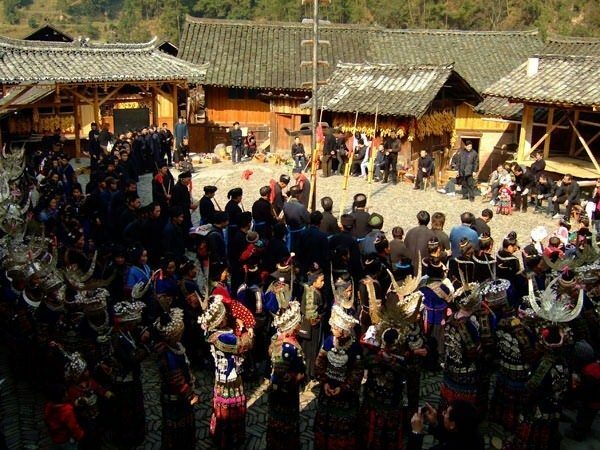 You will visit Chong'anjiang and Gulong to attend their Lusheng Festival in which you can enjoy fascinating shows, and join in the celebration to sing and dance with Miao people. 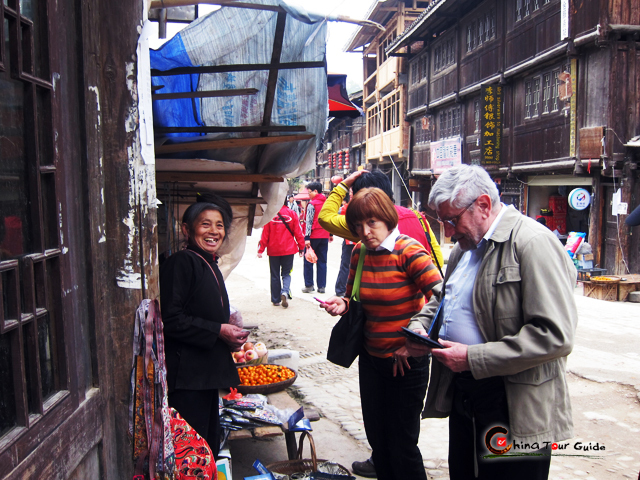 Then we will take you to several other featured Miao and Dong Villages to know more about costoms and culture of Miao and Dong people. You will also have chance to visit famous Chengyang Wind and Rain Bridge, and enjoy wonderful scene of Longji Terraces of Guilin. Highly recommended that you set out at least 1 day ahead of the festival date in case of missing, and feast on wonderful treats during the festival. 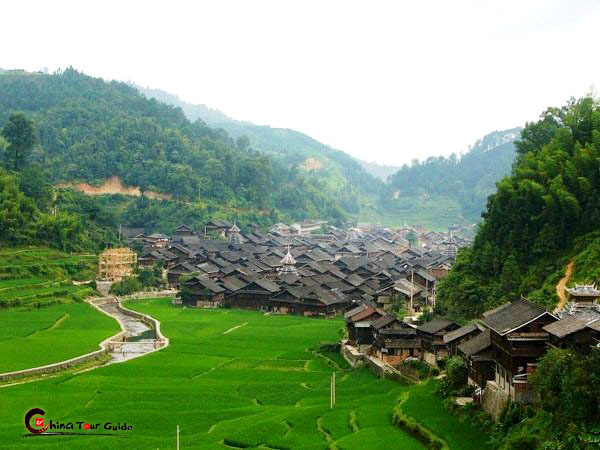 Our guide will meet you at Guiyang airport, and transfer you to Kaili, the state capital of Qiandongnan Autonomous Prefecture. This transfer will take 2.5 hours. Stay overnight at Kaili. Today you will experience the highlight of this tour. After breakfast, we will drive to Chong'anjiang to attend the grand Lusheng Festival which is one of the most important festivals for Miao's people. On the way you can appreciate the beautiful countryside with its terraced hillsides and quaint towns. Upon arrival, you will be excited in the strong festival atmosphere. 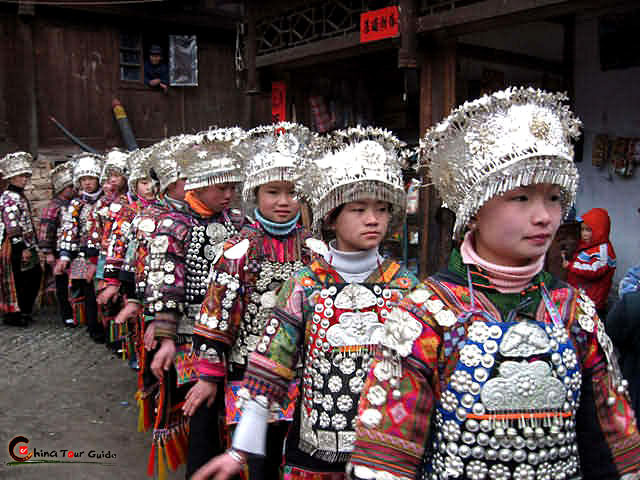 Miao girls of the whole village are dressed up with brilliant ethnic costumes and silver ornaments, participating in the celebration ceremonies, composed of Lusheng dancing, horse racing, rooster fights and buffalo fights. And the exciting thing is that we could join in the celebration to dance with local people. You can also stroll along local bazaar to appreciate ethnic handicrafts. After the festivities you will be driven back to Kaili. Tonight you will have a sound sleep and there are more splendid festivities waiting for tomorrow. On this day, we will continue to enjoy fascinating festival celebration. 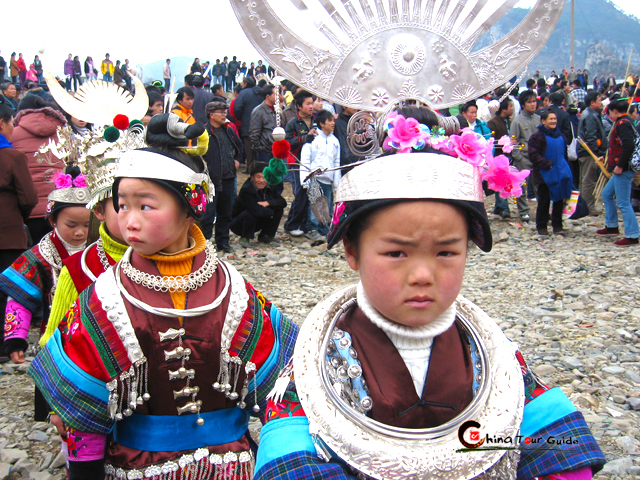 After delicious breakfast, reach Gulong Village attend their Lusheng Festival. 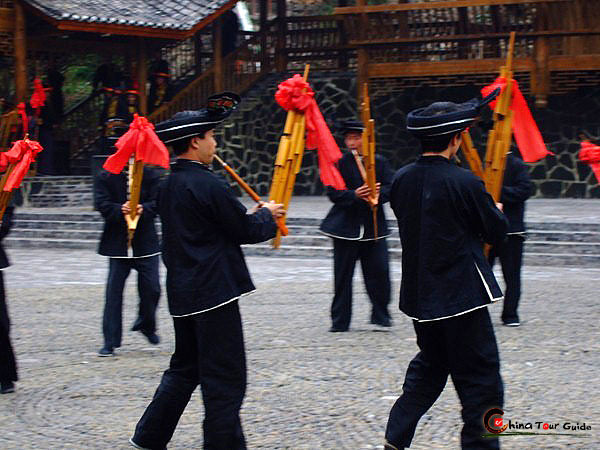 In Gulong, you will experience a kind of special celebration - over 1000 bamboo pipes are played simultaneously, which is a spectacle scene not to be seen anywhere else in the world. 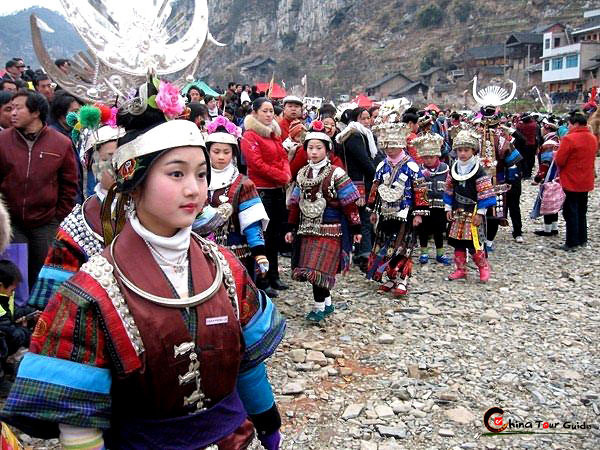 Boys try to play lusheng better, because the festival is also a good dating time or chance for the unmarried people to get to know each other, and become marriage partners. 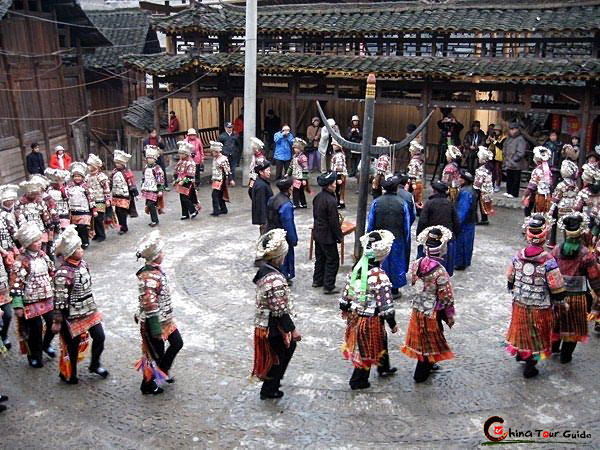 You could join in them to dance to the Lusheng music and enjoy the singing competition. Don't forget to take photoes with these charmingly girls. Today will be an impressive day for you. After visit and enjoyment, transfer back to Kaili hotel. In the morning, a short drive from Kaili along the Bala River will take us to the beautiful Langde Upper Village, a real gem with traditional wooden houses and waterwheels. After lunch we will continue our journey to Paika Miao Village. 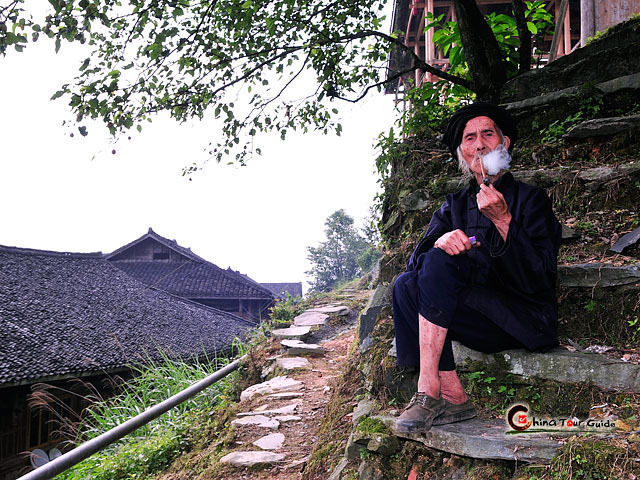 Walking along the picturesque country road, we come to a local villager's house to appreciate how the Lusheng is made, and even you have chance to blow it. 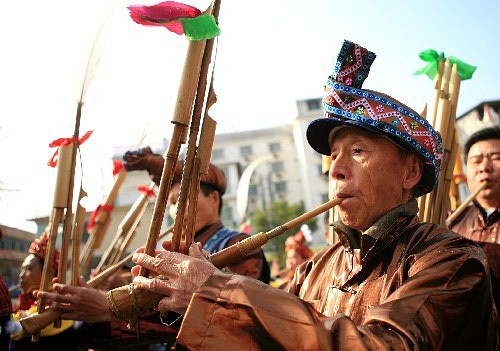 Lusheng is the Miao people's exclusive musical instrument. 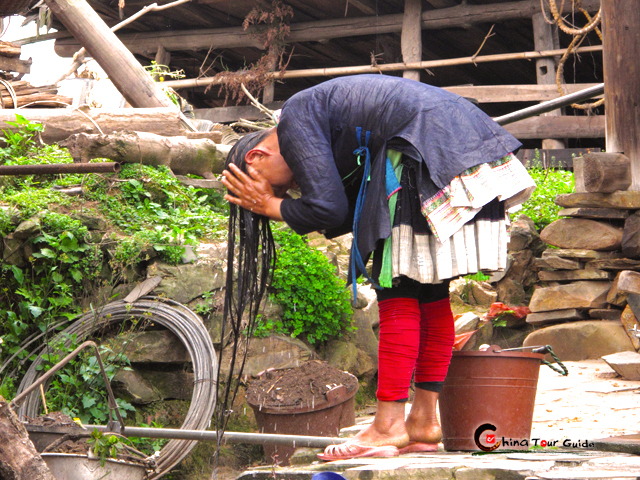 The next stop is the famous Datang Short-Skirt Miao Village, where all the women wear extremely short skirts all year round. Another highlight in this village is the granary built over a pond with the multi-function of fire-proofing, rat-proofing and ant-proofing. 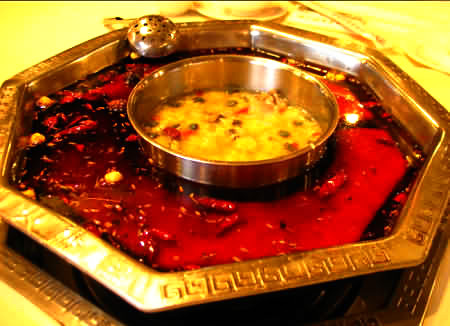 Tonight, you will stay at the best local hotel in Rongjiang. In the morning, depart Rongjiang. 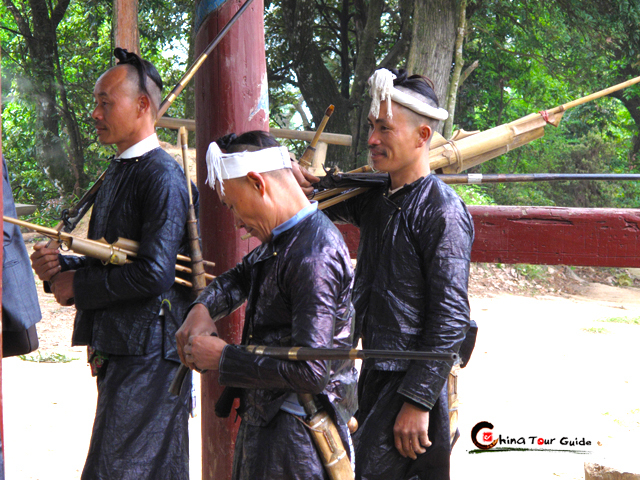 We will drive you to Basha Miao Village, which is reputed as the 'Last Gunmen's Tribe in China', for almost all the adult male villagers usually carry hunting guns on their shoulders and gunpowder bags, bullet bags and knives around their waists. Basha is virtually untouched by modernization, and their residents still keep very old lifestyle. We will visit local people's wooden house to know more about their centuries-old customs and unique beliefs. 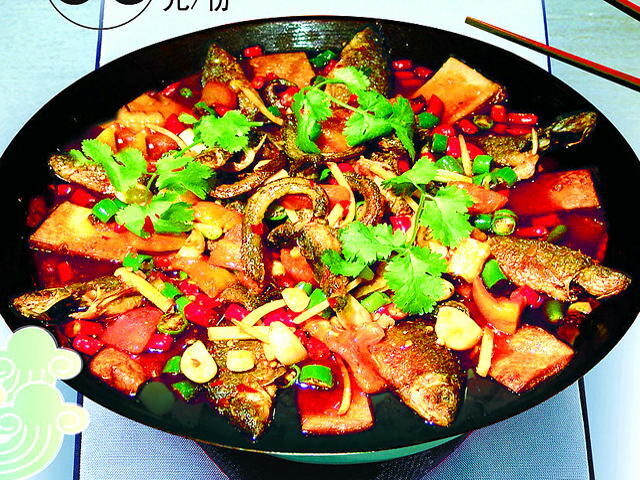 Afterwards, we will take you to Zhaoxing. 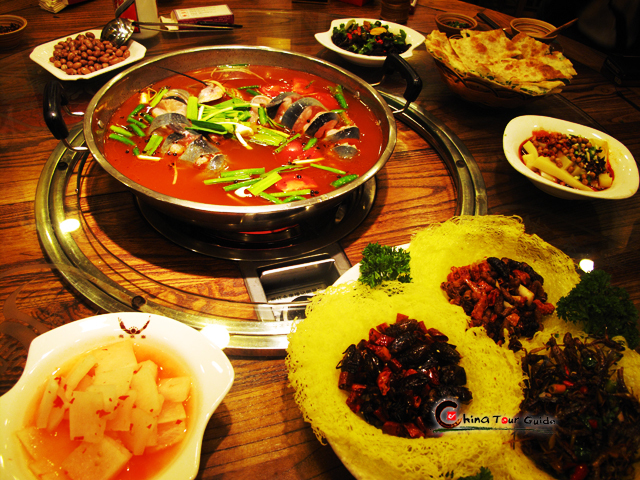 After checking in, you will explore Zhaoxing Dong Village and have lunch. 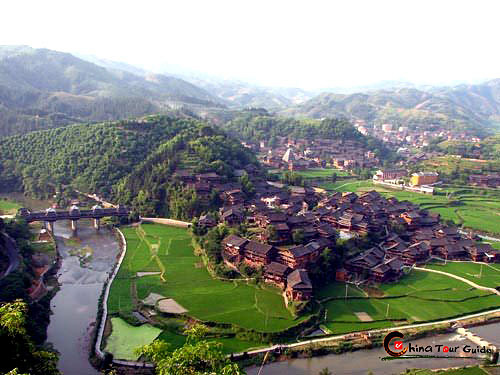 It is the largest Dong People's Village in Qiandongnan area. 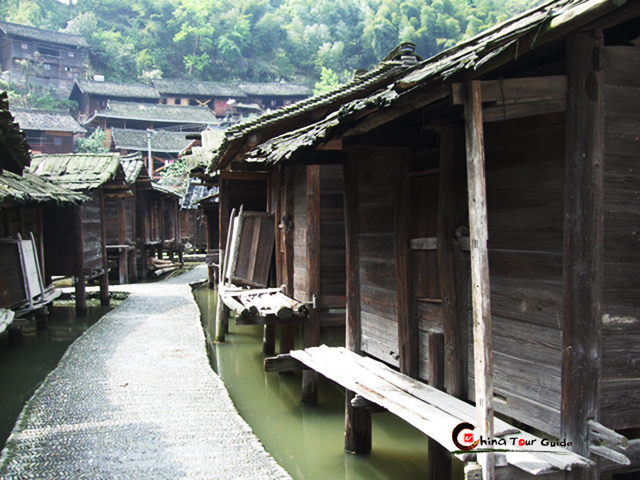 You will find many wooden stilt houses standing one by one as well as charming Drum Towers in the village. 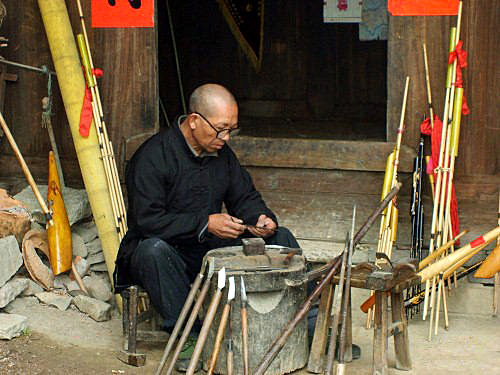 After breakfast, you will take a relax stroll on local market of Zhaoxing, to experience local life and appreciate ethnic handicrafts. Here you could buy some exquisite souvenir. Then we will depart Guizhou Province to Guangxi Province. Drive about 3.5 hours to reach the quaint little village of Chengyang. 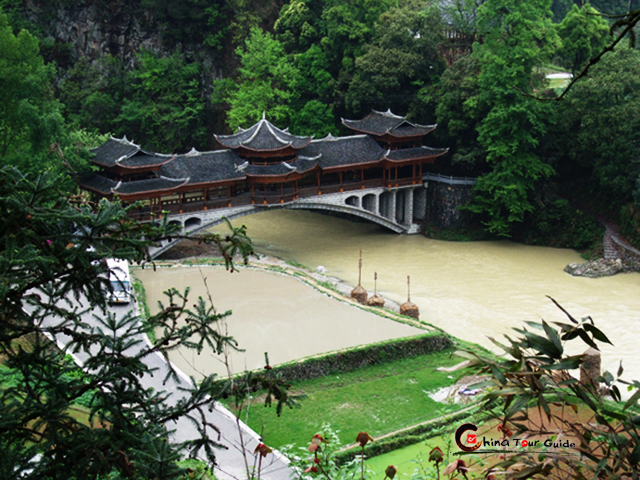 Visit the renowned Chengyang Wind and Rain Bridge, which is one of the four famous old bridges in the world. Amazingly, this bridge is made of wood and stone, without the use of any nails or rivets. Walking out onto the bridge, you can sit on the bench and appreciate the picturesque scenery. Our next stop is the eight famous stockade villages which offer a peek into the Dong's life and customs. They are Ma'an, Pingzhai, Yanzhai, Chengyang-Dazhai, Pingpu, Pingtan, Jichang and Guandong. 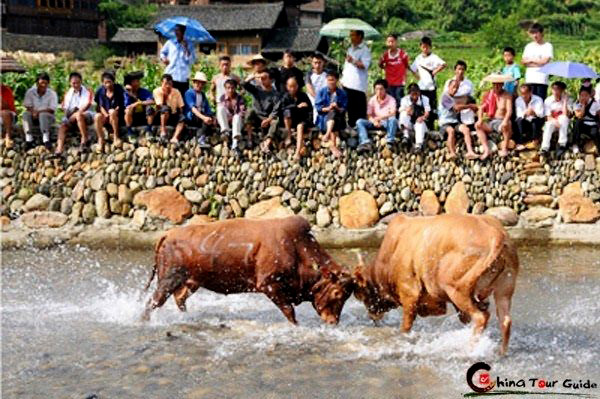 Here you will enjoy the perfect pastoral life and experience the customs of the Dong people. In every village you can find its drum tower which has many-roofed structure and serves as the community's main meeting place. Wandering from town to town provides a fascinating series of glimpses of rural life, from live pigs for sale in the market to chickens wandering freely through village lanes. Tonight you will stay at Chengyang hotel. In the morning we will take you to Longsheng. 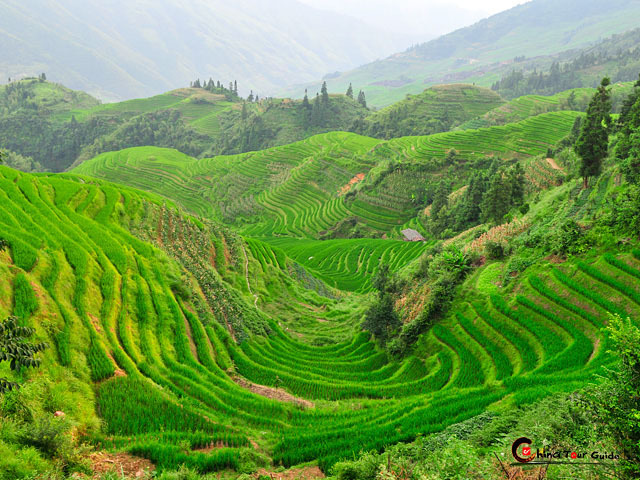 Visit the world-famous Longji Terraces - Dragon's Backbone Rice Terraces. 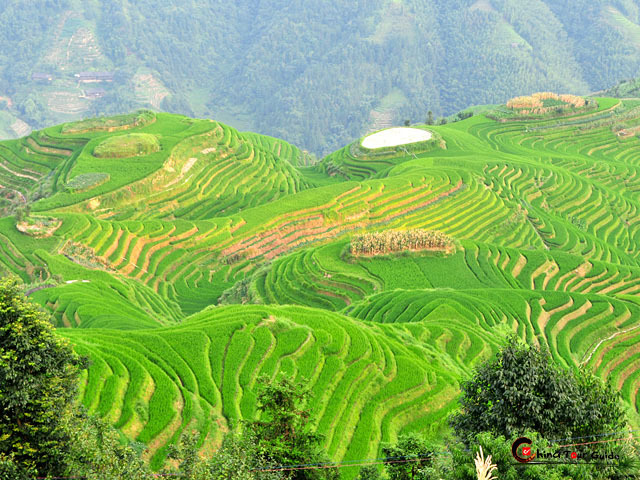 There are about 66 square kilometers of terraced fields in the district. 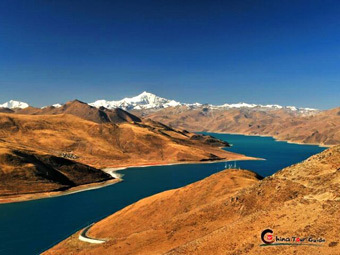 Leisure time for you to walk along the mountain road, and you will be intoxicated in its fantastic scenery. If you don't want to climb all the way up to the top of the mountain, there are sedan chairs available for you. In the afternoon we will drive about 2 hours to Guilin for checking in. 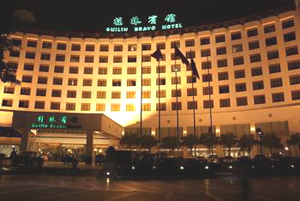 After short rest in hotel, you can walk around the hotel to appreciate beautiful night scenery of Guilin. 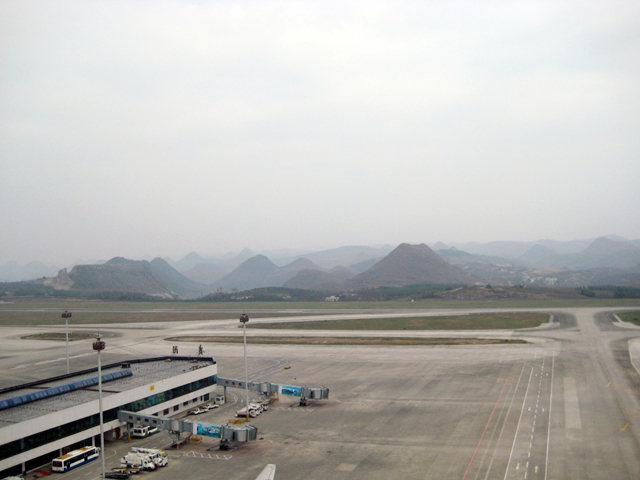 Today we will transfer to Guilin airport to end this fantastic tour. 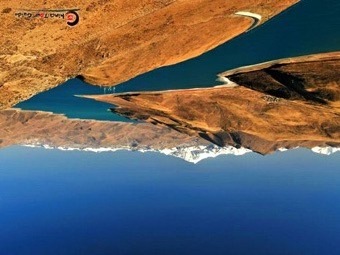 Wish you a pleasant journe!. Tour Guide: a local experienced English-speaking guide Hotel: all commodations are in listed cities and villages. Heaven-Sent Dragon Hotel Kaili is the earliest established international 4-star business & tourism hotel in Kaili. The hotel boasts prime location, providing much convinience to the guest. 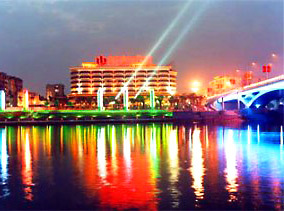 It neighbors the Kaili National Leisure Square, National Museum and the main entertainment and dining places in Kaili. The hotel features 21 floors and 114 rooms / suites. Renovated in 2008, all the guestrooms are fully equipped with up-to-date facilities. 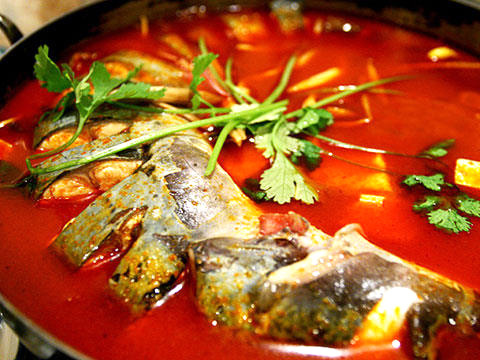 Moreover, A rich variety of local and western cuisines are available to cater to every guest. 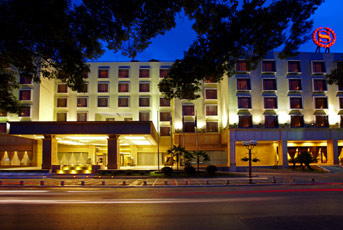 Crown Plaza Hotel Kaili is a comprehensive 4-star business hotel in Kaili. 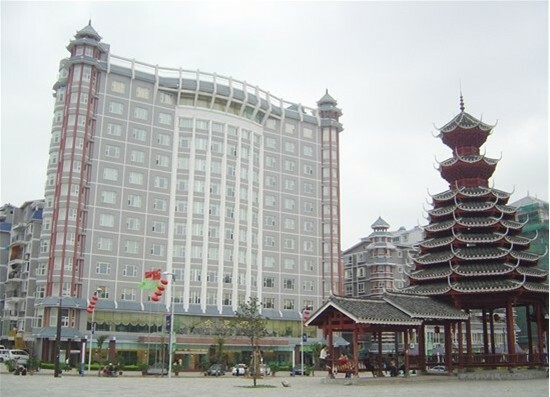 The landmark of the local hotels is located right opposite to the landmark of Kaili, Kaili Stadium. 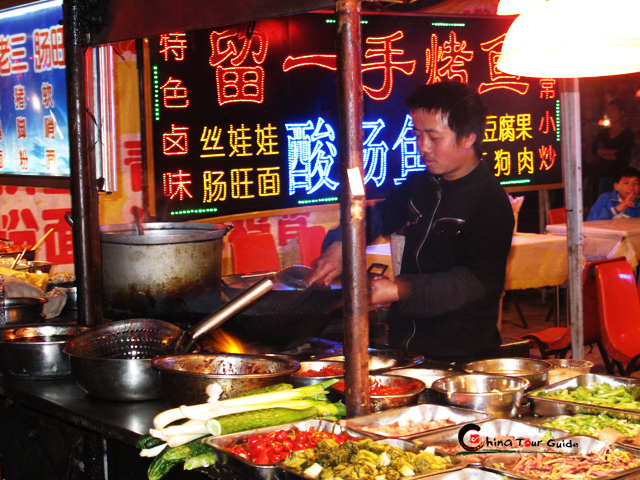 What's more, it's not far from the City Administration Center and Bonan Bus Station. Since 2005 the hotel has developed into a total of 116 rooms/suites. The guestrooms are elegantly decorated and fully equipped with up-to-date facilities. Besides, facilities for meeting, banquet and fitness are all ready to meet various needs. 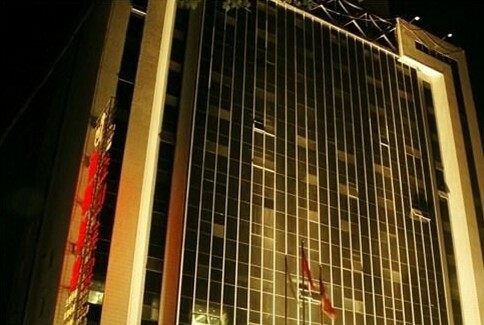 JK Regency Hotel Kaili is a 4-star business & leisure hotel. The hotel is nestled in the most prosperous Beijingxi Road, Kaili downtown from which main city attractions and shopping malls are within easy access. In addition, the hotel is linked to the main transportation hubs like Kaili Railway Station and Guiyang Longdongbao International Airport by expressway. The hotel possesses 109 rooms /suites and a tower of 15 floors in total. Open in 2007, the hotel shows elegant room design and comprehensive facilities. Rich dining options and conference organising team offer professional service to every guest. 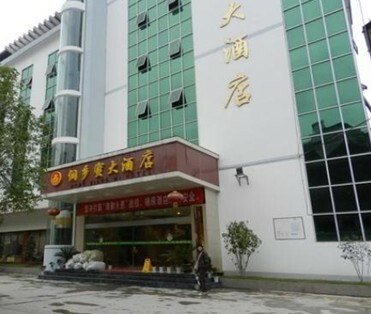 Dongxiangmi Hotel is the best and highest starred hotel in Rongjiang County. 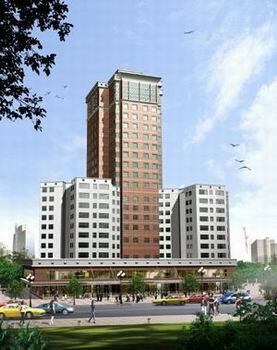 The 3-star business & tourism hotel is located near the Rongjiang Coach Station and newly built expressway. Besides, it neighbors the prosperous Xiangrong Trading Center, providing shopping convenience to the guests. The hotel possesses 41 rooms/suites in various types. Facilities like Western toned restaurant, coffee bar, business center, meeting room are all available to suit multiple needs. 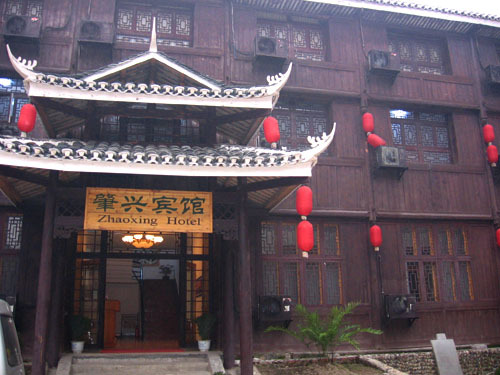 Zhaoxing hotel is a theme hotel of Dong ethnic culture. The VIP Building makes the hotel the only 3-star one in Liping County. All the details are designed to convey the essence of Dong ethnic architecture and pull the guests nearer to Dong culture. From the room guests can hold the beautiful view of river and Dong ethnic village. Regarding facilities, the hotel provides conference center and Multimedia System to fit more needs. Hotel Universal Guilin is situated on the bank of Li River, within walking distance to the local market,shopping area and tourist hot spots, It houses 222 tastefully decorated guest rooms, and provides a comprehensive range of facilities and services including : comfortable and deluxe rooms,Chinese and western restaurant,multi-purpose conference room,business center, tour desk,shop,beauty salon,tea hall, offering the individuation hotel golden-keys service for you etc. 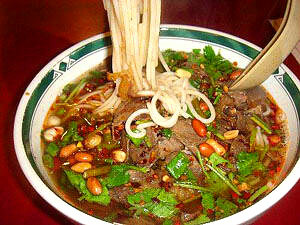 Meals as mentioned in the itinerary include 7 breakfasts, 6 lunches, and 3 dinners.